When you purchase a vehicle with the CARFAX Buyback Guarantee and a One Owner, you're getting what you paid for. If you are looking for a vehicle with great styling, options and incredible fuel economy, look no further than this quality automobile. 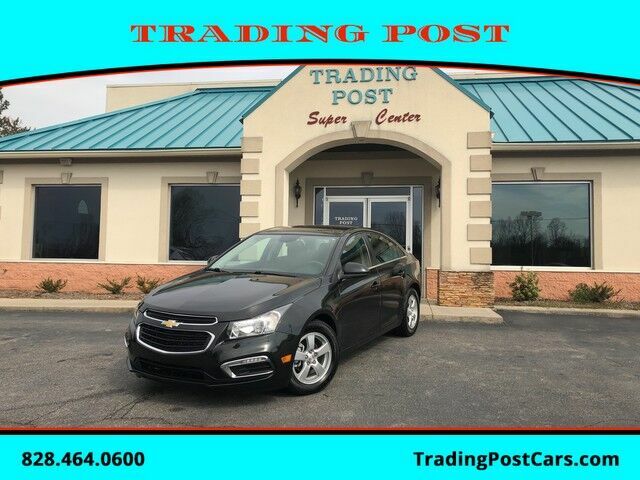 In addition to being well-cared for, this Chevrolet Cruze Limited has very low mileage making it a rare find. Looking for a Chevrolet Cruze that is in great condition inside and out? Take a look at this beauty. Give our sales team a call at 888-805-8558 or check us out on the web at www.tradingpostcars.com for more pictures and a live video of this car. Family-owned and operated for over 38 years with an A+ rating with the BBB! We would love for you to come be a part of our family! Give our sales team a call at 888-805-8558 or check us out on the web at www.tradingpostcars.com for more pictures and a live video of this car. Family-owned and operated for over 38 years with an A+ rating with the BBB! We would love for you to come be a part of our family!